Profit from the windOntario’s new MicroFIT/FIT Feed-in-Tariff Program rewards homeowners and businesses who install system to harness the wind. These systems generate electricity that must be sent to the electrical grid. Installation of an eligible wind project can earn you 15¢ per kilowatt-hour. So wind power can now be affordable and profitable, contributing to Ontario’s clean energy and reducing carbon emissions. In fact, on a windy site, a wind turbine will produce up to twice the output (kilowatt-hours per year) of a comparable solar system. Find our the wind values for your site click here. 1 complete RoofMill™ Grid Tied Wind/Solar Rooftop Home Energy Kit, HO-1.4kW, Maximum Output 1400 watts, includes HO Wind Turbine, Blades, Cone, Rotor, Tail, Roofmount Kit, Charge Controller, 2 Solar Panel Kit, Hardware, and Grid-Tie Inverter. 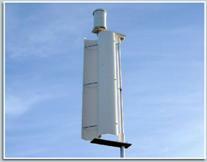 This is an HO Hybrid Wind/Solar Power system with maximum power output of 1400 watts. Kit has all required components. Customer must add batteries and some required wiring. RoofMill™, 2 Turbine complete Grid Tied Wind/Solar Rooftop Home Energy Kit, HO-2.8kW, Maximum Output 2800 watts, includes 2 HO Wind Turbines, Blades, Cones, Rotors, Tails, Roofmount Kits, Charge Controllers, 4 Solar Panel Kit, Hardware, and Grid-Tie Inverter. This is an HO Hybrid Wind/Solar Power system with maximum output of 2800 watts. Kit has all required components. Customer must add batteries and some required wiring. RoofMill™ complete Grid Tied Wind/Solar 3 Rooftop Turbine Home Energy Kit, HO-4.2kW, Maximum Output 4200 watts, includes 3 HO Wind Turbines, Blades, Cones, Rotors, Tails, Roofmount Kits, Charge Controllers, 6 Solar Panel Kit, Hardware, and Grid-Tie Inverter. This is an HO Hybrid Wind/Solar Power system with maximum output of 4200 watts. Kit has all required components. Customer must add batteries and some required wiring. 1 HO (High Output) complete system kit, 1400 watt max output, Wind/Solar Tower Kit, includes Wind Turbine, 5 Blades, Cone, Rotor, Tail, Guyed Tower Kit, Charge Controller, 2 Solar Panel Kit, Hardware, and Heavy Duty Grid-Tie Inverter. This is a Hybrid Wind/Solar Power system. Kit has all components. Must add batteries and some required wiring. 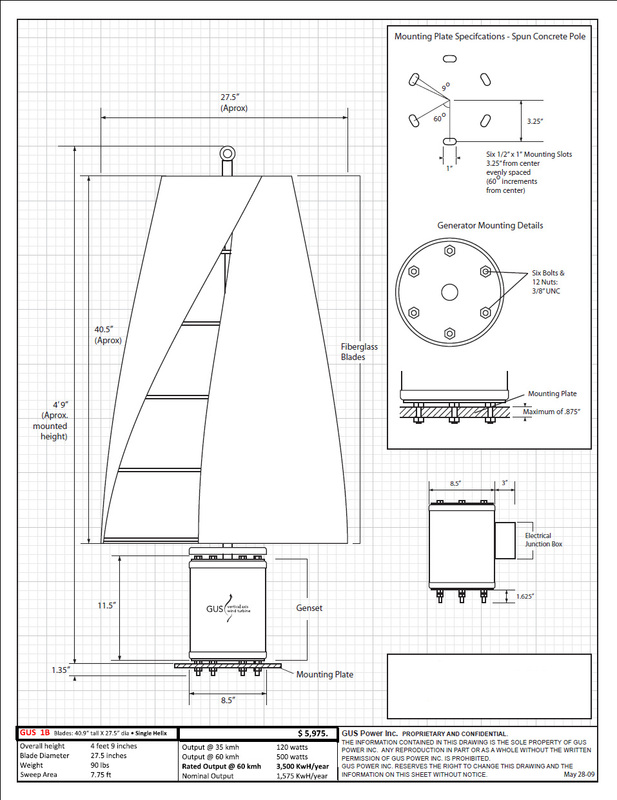 1 complete 3990 watt Wind/Solar Hybrid Turbine Kit, includes Wind Turbine, Blades, Cone, Rotor, Tail, Charge Controller, Hardware, and Grid-Tie Inverter Kit with Advanced Monitoring modules. This is a Wind/Solar Kit with Controllers, Inverter & 776 watts of Solar Panels with pole mount hardware to use as Solar Hybrid with system. 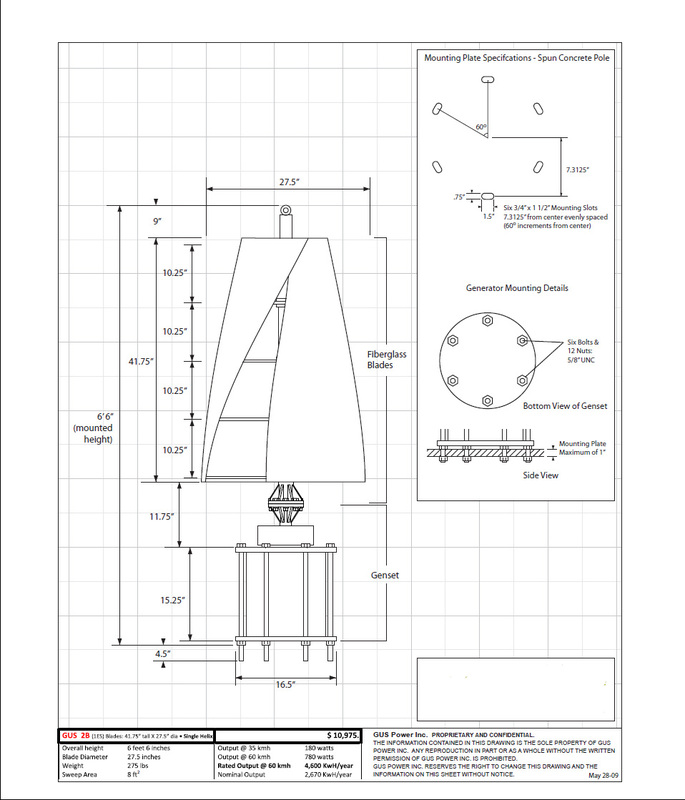 Includes 33ft Monopole steel tower, hinge plate kit, bolt kit, gin-pole kit, pole mounted battery control boxes, Complete system. Customer to supply some required wiring and batteries. PSX-240 Auto Transformer Kit. This is a powerful autotransformer to carry 240v loads like water well and so forth from a 120v system configuration. Enclosure with fan and double brakers included. Please fill out our Contact Form. The system will automatically send you some additional info. from residential houses to tourist resorts, from streetlights to agricultural structures and everywhere they effectively cut down energy costs and reduce impact on the environment, combining efficiency and design. Wind energy is one of the most popular energy technologies, with the UK being the windiest country in Europe. Harnessing the natural power of the wind is essential to tackle global warming. 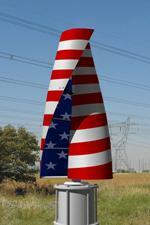 Envirotek are UK manufacture of low cost, high quality vertical axis wind turbines. Slipstream Energy combines engineering excellence with aesthetic design to make elegant and reliable products. Our turbines are quiet in operation making them ideal for the developed environment. Rigorous field testing and Computational Fluid Dynamic techniques underpin all product designs. 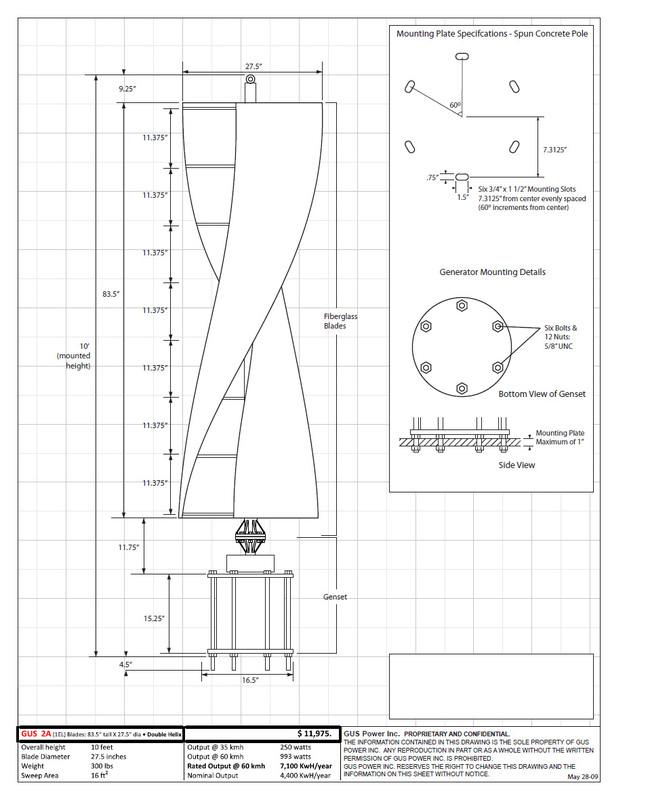 The Windspire is a low cost, attractive, plug-n-produce wind power appliance thatprovides a safe and attractive method for harnessing power from the wind. 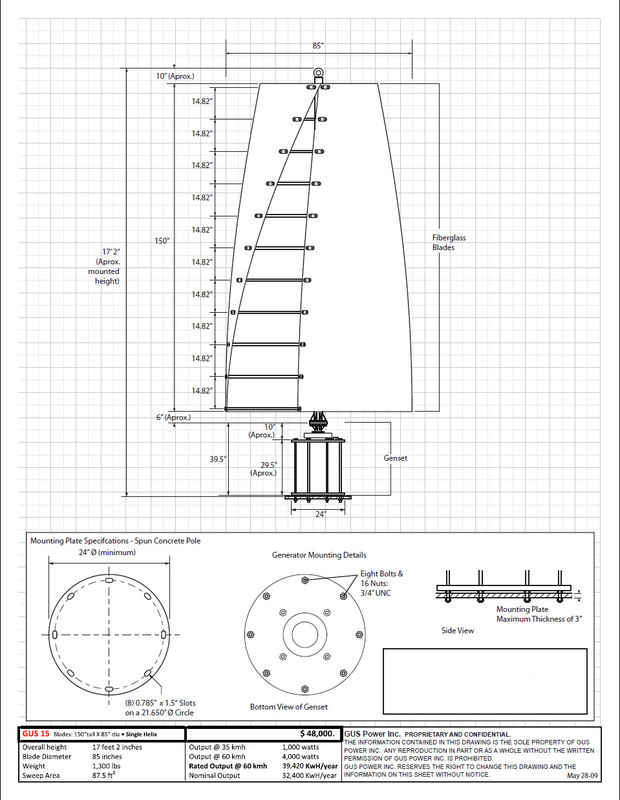 At only 30feet tall and 2 feet in radius, Windspire is distinguished by its sleek propeller-free design, ultra quiet operation, rugged construction, and affordable pricing. Designed for operation where we live and work, it sells for $4,995 and comes complete with a high efficiency generator, integrated inverter, hinged monopole, and wireless performance monitor. -Easy on the eyes and ears being the only soundless wind turbine with non-reflecting surfaces to eliminate shadow strobing effect-Compact design reduces harm to wildlife - such as bird strikes Customizing your Gale Wind Turbine You spend days deciding on wallpaper... traveling 60 miles to find the right floor tile... playing "eeny-meeny-miny-mo" on which patio umbrella compliments the roof color while not clashing with the landscape. Now you can make sure your energy sources match your personal style as well.You Can Choose a Pattern or a color and we can match it to work with your design Style. 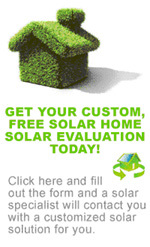 * We will work with you on matching custom colors as close as we can. 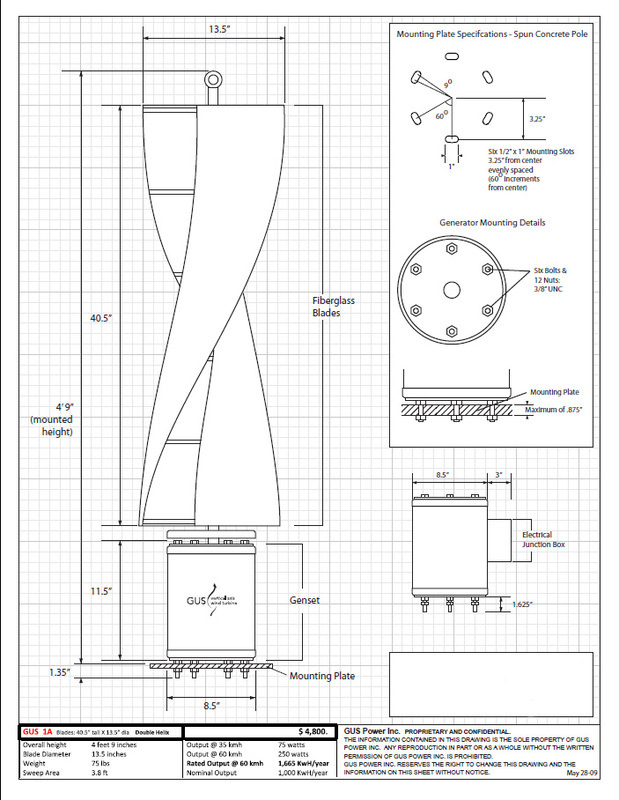 This is a new concept of wind turbines evolved from conventional models.GEDAYC is a new concept of wind turbines with blades and Kites 50% more efficient than propeller models. 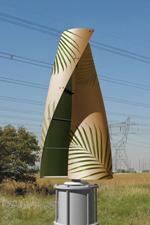 Thanks to its design and the wide range of wind that generates energy from weak to very strong winds. The idea is to create a logistics company that manages the design, manufacture and sale of wind turbines of 500 KW GEDAYC whose innovative design makes it equivalent in performance (KW / Year) siblings older than 2 MW, due to its ability to generate power with winds weaker and stronger than propeller models.